This is a pair of tuning forks that allows one to access the ancient wisdom of the Temple of the Four Winds. This is a sacred point on the earth matrix, which is in direct alignment with the Southern Cross star system. The Southern Cross clearly marks the truth of our existence in the heavens, a blueprint mirrored here on earth but forgotten in the consciousness of the human experience. The Southern Cross serves as a map home, as the reflection of the four directions, the four winds and four elements are identified in the night sky. The first tuning fork is the vibration of the longitude and latitude on the earth matrix where the Temple of the Four Winds is positioned. Stored in the earth is the ancient wisdom of Maori elders as this was an initiation temple that housed the secret teachings. The other tuning fork is the frequency in light years to the Southern Cross and the vibration of the Sirian Star, which is currently guiding the earth’s evolution. The sound frequency activates the memories of ones star origin and creates a stronger connection to the Sirian Star. When these two tuning forks are used together it makes an instantaneous connection of heaven to earth and we can easily access the pathway home. This earth experience consists of continuous life, death and rebirth experiences. When we are moving through transitional times or major turning points in our life and feel as though a part of us is dying to give way to a new expression. 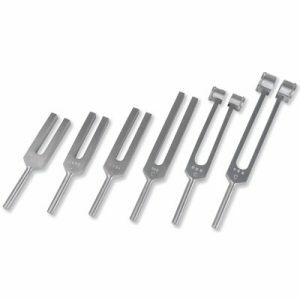 ***All tuning forks are custom made to order. Please allow 4 to 6 weeks for delivery.